The fifth luxury vessel for Crystal River Cruises was officially handed over to the company today in Wismar, Germany. Crystal president and CEO, Tom Wolber, took the ‘keys’ to Crystal Ravel, welcoming the ship to the Wave Award-winning fleet ahead of its maiden voyage next month. 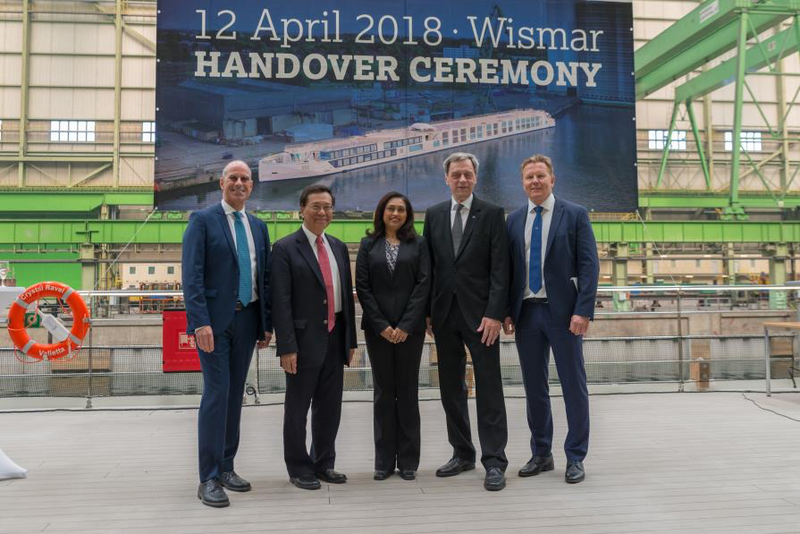 The handover ceremony for Crystal Ravel took place at MV Werften shipyard, where each of her predecessors were built. “We are thrilled to welcome Crystal Ravel to the fleet, which will further expand the many choices our guests have for experiencing luxury on the rivers of Europe,” Wolber said. “Crystal Ravel is the fourth river cruise ship to be built at our shipyard – a ship that combines comfort and elegance with the highest standards in safety and navigation,” said Jarmo Laakso, Managing Director of MV Werften. The new ships comprise the first and only all- suite, all-balcony, all-butler ships on Europe’s rivers, boasting all categories of accommodations above the water line. 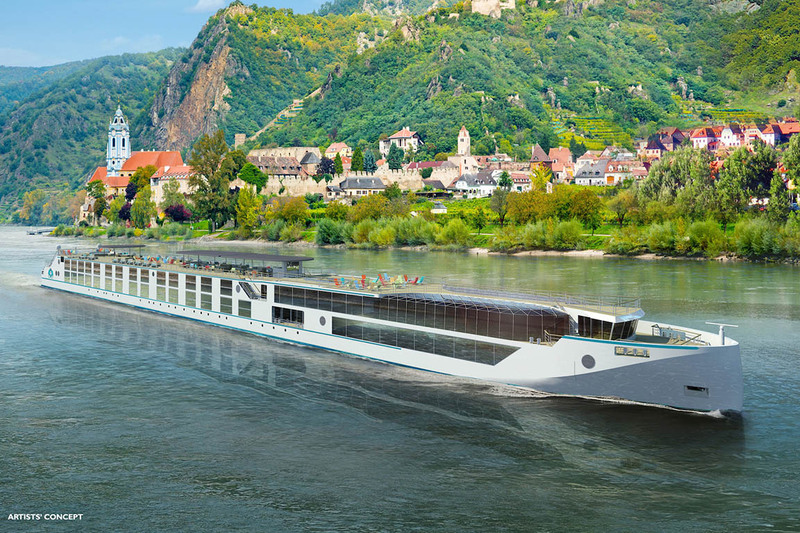 Crystal Ravel embarks on her maiden voyage on May 10 from Basel to Vienna and will sail itineraries along the Rhine, Danube, Main and Moselle rivers visiting medieval towns and cosmopolitan hubs in Austria, Hungary, Germany, Switzerland and Slovakia.